Short-necked oil-beetle mimicking death. 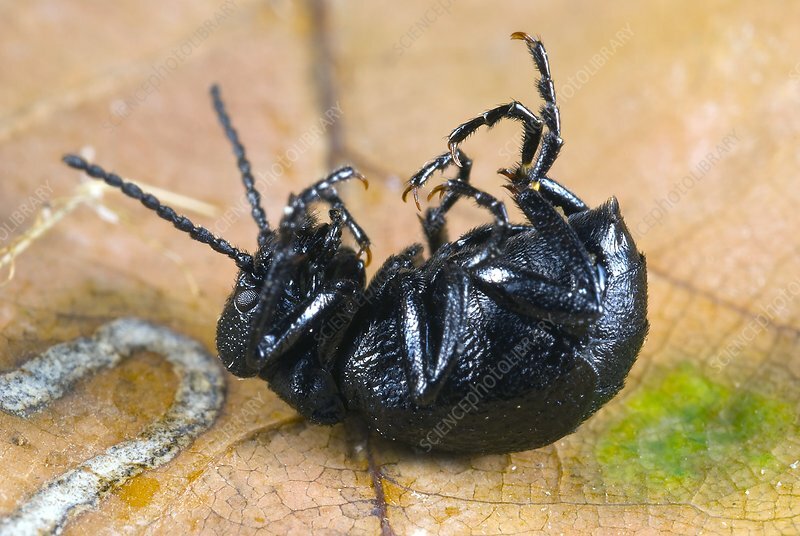 Short-necked oil-beetles (Meloe brevicollis) are a European species of blister beetle (family Meloidae), which secrete a blistering agent as a means of defence. Photographed in Przemkow Landscape Park, Poland.